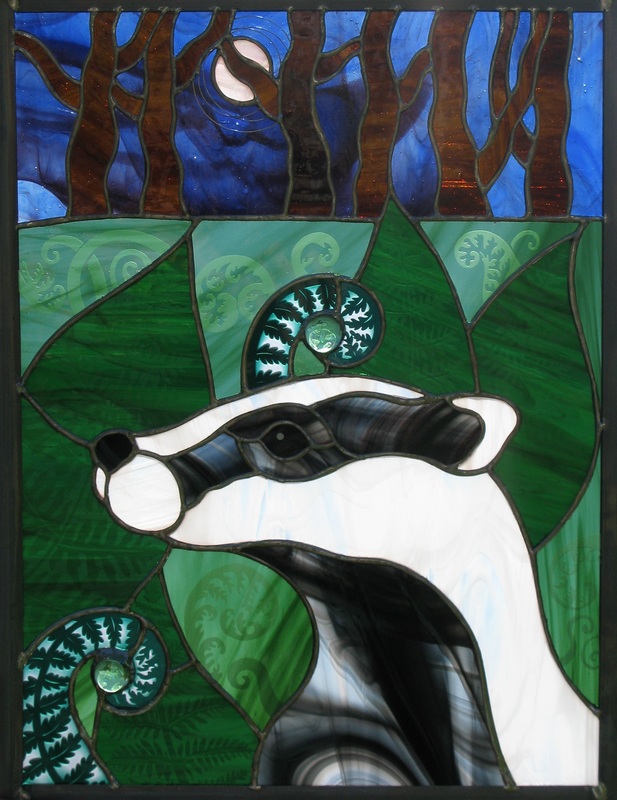 Liz has been working with glass since 1991, after being persuaded by a friend to join a college course in Bath. 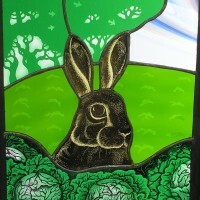 Since then, Liz’s work has been displayed and sold at various fayres and festivals around the country. 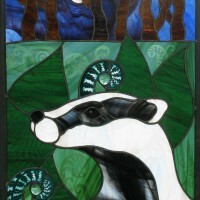 Liz is now based near Worcester and teaches stained glass techniques at Malvern Hills College. 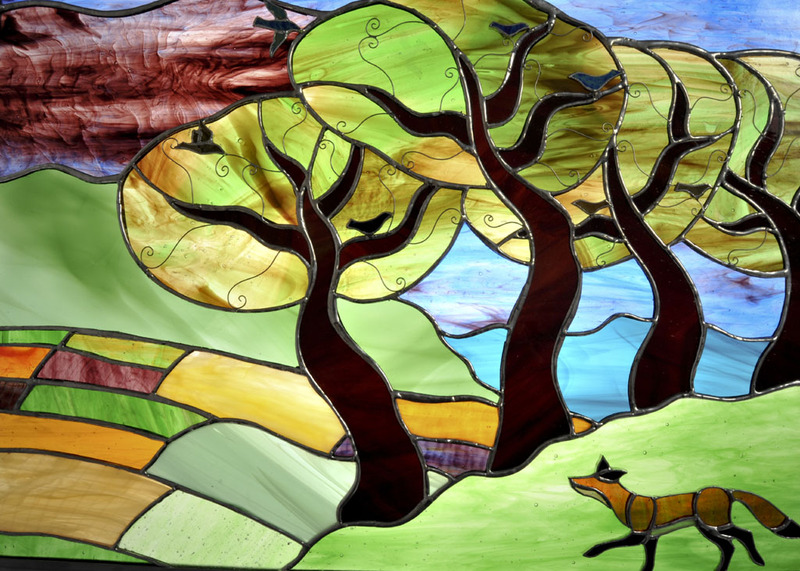 Liz mostly works using the Tiffany copperfoil technique, making small suncatchers and mirrors but she has recently started making bigger panels inspired by the surrounding countryside. 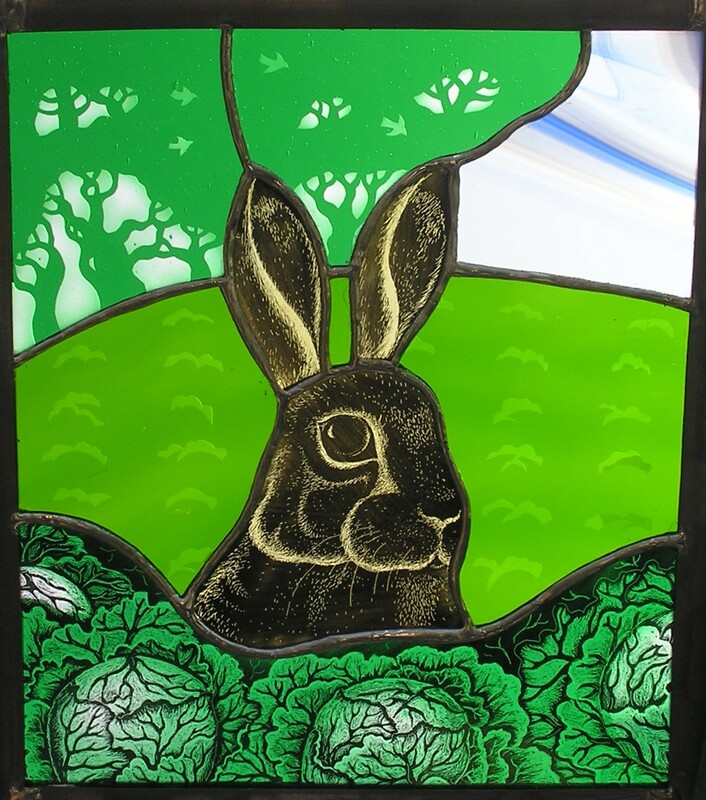 Liz particularly likes the patchwork patterns of colours of fields in the distance and likes to include flowers, birds, trees and animals, such as hares, rabbits, badgers and foxes in the panels. 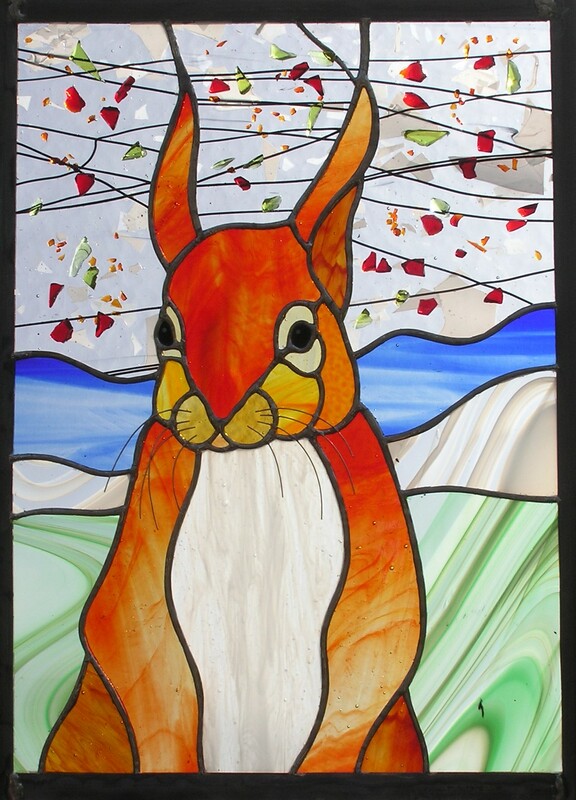 Her work is embellished with coloured wirework and etching to add detail and to give a three dimensional effect to each piece. 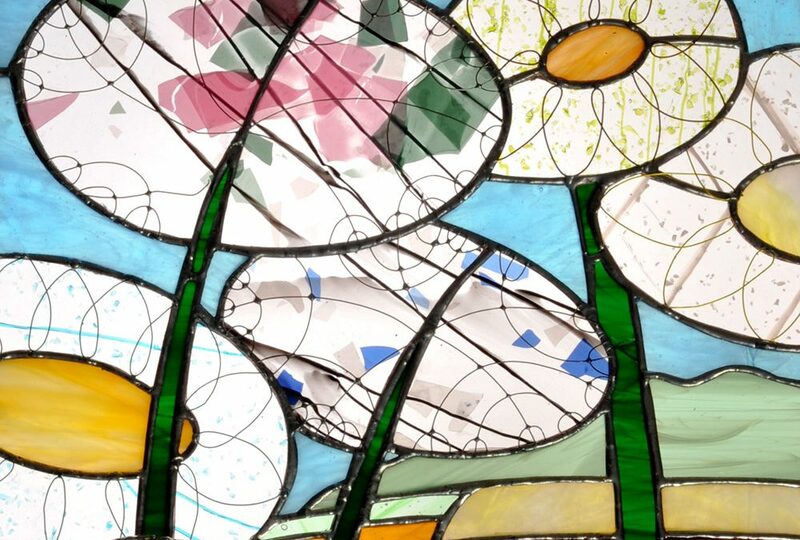 The Herefordshire Guild of Craftsmen is a group of skilled artists and craft workers who earn a living by their craft and live or work in and around the beautiful county of Herefordshire. Chatting and wrapping today are Janis Waldron : silver and pearl jewellery and Sarah Billingham: ceramic kitchenware. 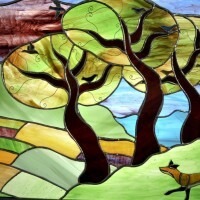 A wonderful selection of handcrafted work. A preview show for RHS Malvern Spring Festival next month. 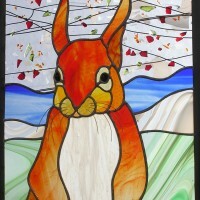 © Herefordshire Guild of Craftsmen | Handcrafted by Jeanius!